Mary Elizabeth Sowards Quint Preston, thirty—second international president of the General Federation of Women's Clubs, 1978—1980. 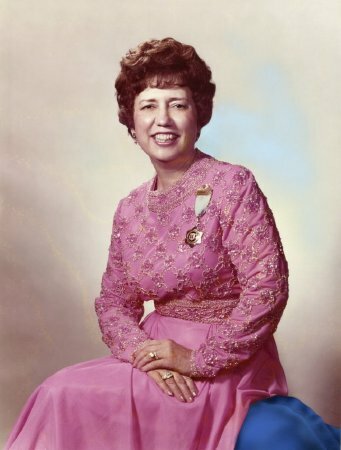 During her term, Mary promoted family unity and free enterprise, helped to establish the Korean Federation of Women's Clubs, and partnered with the Hugh O'Brian Youth Leadership program (HOBY). 1734 N Street, NW Washington, DC 20036-2990 Phone: 202-347-3168 Fax: 202-835-0246 For membership information: 1-800-443-GFWC Email: GFWC@GFWC.org Copyright 2010 General Federation of Women's Clubs.